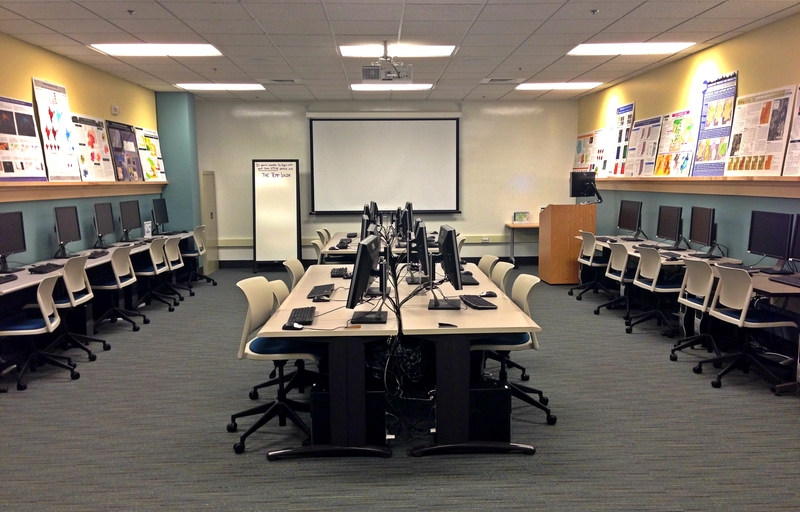 The Computing Lab is situated towards the front of the Medford Data Lab and is dedicated to individual and collaborative work at all times. 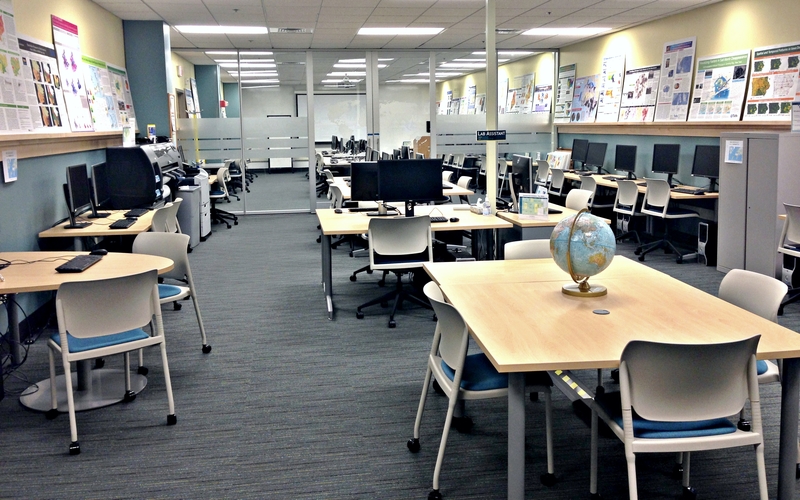 The lab is staffed by student Lab Assistants, and is open for use during the same hours as Tisch Library. Space and computers are available on a first come, first serve basis. 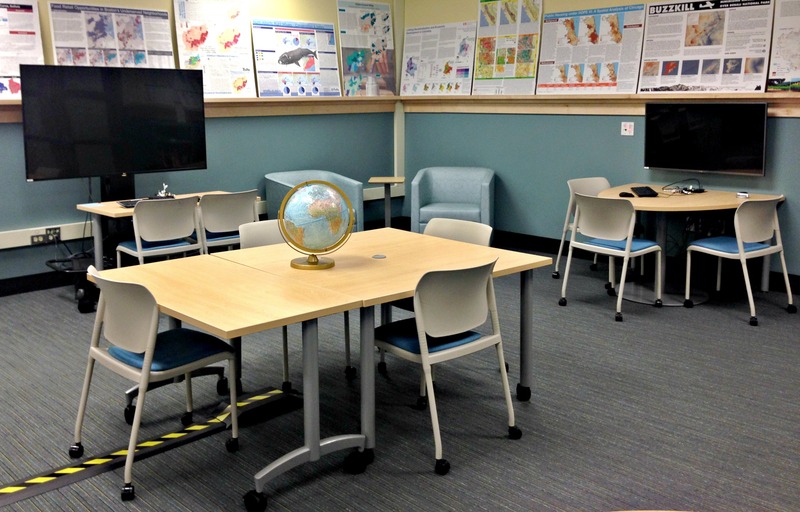 The Computing Lab consists of two areas: 1) the Collaborative Space and 2) a section of work stations for individual use. The Collaborative Space is a flexible and transformable area intended to meet the needs of multiple groups or individuals. 1 – Dell Precision Tower (6C, 3.5GHz), 64GB RAM, NVIDIA Quadro 8GB Video Card. Please see the Software Section for a complete list of software available in the Data Lab.